Lola and her family relocated here from Charleston, SC in 2016. She is a classically trained and degreed dancer with 20+ years teaching, as well as professional performance experience. Her passion for helping students achieve their fitness goals, combined with an emphasis on proper technique to prevent injury, provide a powerful environment for personal growth. Lola challenges her students while maintaining a fun atmosphere! 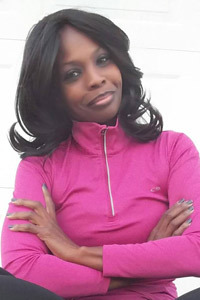 Crystal completed Polestar Comprehensive training in 2018 and is an AFAA & CPR certified personal trainer and yoga instructor local to Camden County. She is experienced in mind body wellness practices such as sunrise yoga format which is good for varying levels of experience, as well as Yoga/Tai Chi mix. She is a military mom of 4 kids and has lived in Camden since 2007. She has the motivation to teach those who are looking to make a healthy lifestyle change.